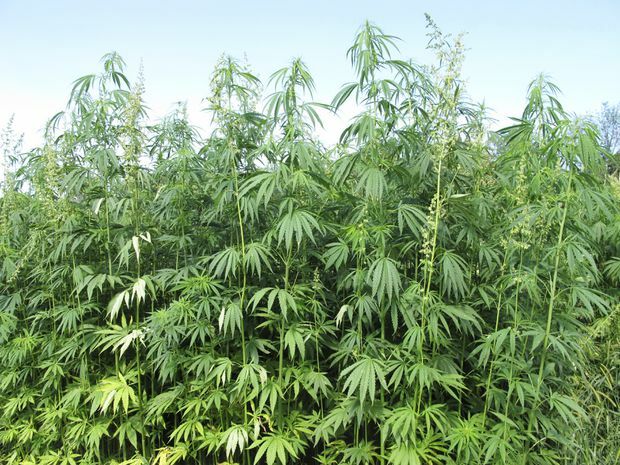 In this Aug. 13, 2015, file photo, hemp plants tower above researchers who tend to them at a research farm in Lexington, Ky.
A Prince Edward Island advocate for medicinal marijuana is praising the province’s decision to allow up to four cannabis plants per home and consumption in “designated spaces” after legal cannabis sales start up. “I thought we wouldn’t see consumption sites for at least another year. And that was something I worried about. ... I was worried about tourists coming and not having any place to consume,” she said.